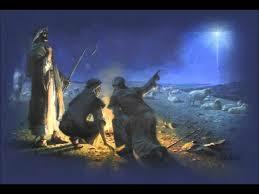 Every time I read the account of the shepherds in the field it reminds me God sees people differently than I do. Their value and worth not determined by who they are. Shepherds were the outcasts of society. Even though they provided the most important part of the Jewish sacrificial system, the lamb. God chose the least important to be the first to know the most important event the world would ever know, The Lamb has come. This story tells me that when it comes to people God not only loves them all, (John 3:16) all are important to Him.